Sometimes the pictures just don’t do it justice. And when you are talking about witnessing a tilt-up building being erected, it is hard not to be impressed by the speed at which a building of that size can be completed. Tilt-up construction is a method of building that involves creating concrete walls horizontally and then using cranes to “tilt” the structure vertical, where the rest of the building is formed. The general construction concept has been around throughout history being utilized in some form dating as far back as the Roman Empire. However, while the concept is not new, technological advancements have made modern-era tilt-up construction efficient and economical. Today, “tilt-ups” are helping to meet the changing needs of a modern economy and are the building method of choice for warehouses, call centers, distribution centers, retail stores, and other large, industrial buildings. 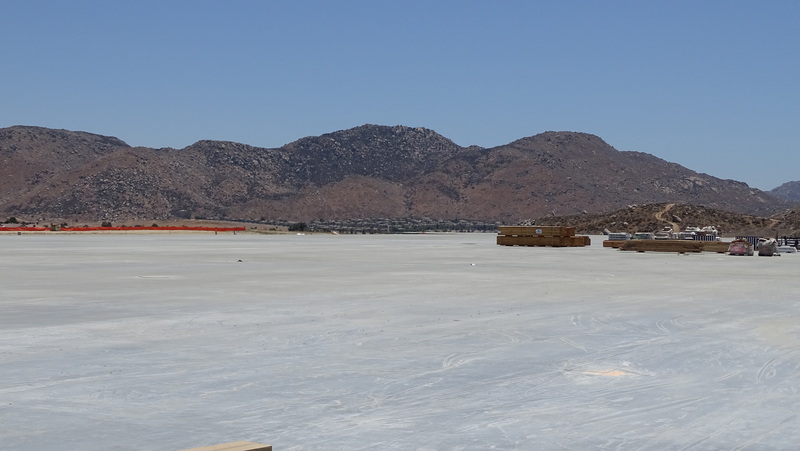 The vast floor slab of an industrial building under construction in Riverside County. Online commerce, in particular, has revolutionized the way people shop and created a need for large-scale warehouses and logistics centers to house and distribute merchandise. This e-commerce boom has created a huge demand for new buildings, and Southern California’s Inland Empire is leading the way in meeting it with tilt-up construction. “Over the last several years, we’ve seen large uptick in tilt-up construction here in Southern California. 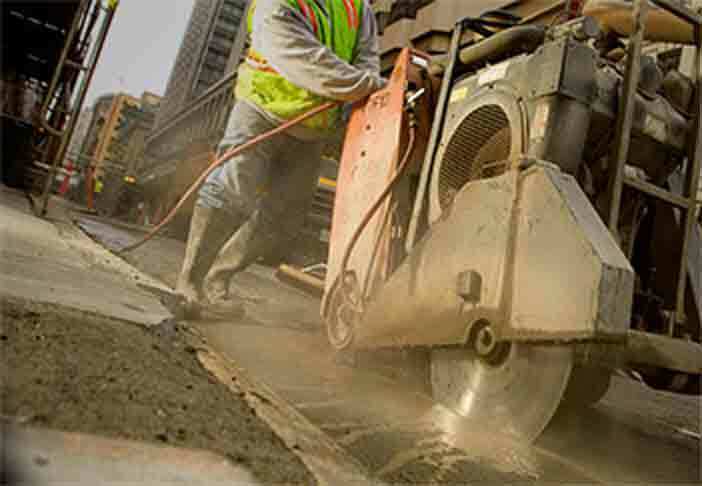 The Laborers have been involved in the vast majority of these projects as our workers have the necessary skills and expertise necessary to tackle these jobs quickly and efficiently, says LIUNA Local 1184 Business Manager Mike Dea. Workers layout formwork that will be used to create a tilt-up wall panel and include architectural features. Tilt-up construction begins with the pouring of a floor slab that will serve as the foundation around which the rest of the walls are formed. After the slab is poured, workers create molds on top of the original slab. This formwork creates basic shapes in the mold to account for doors, windows, and other elements. Next, bond breakers are sprayed on the formwork to prevent the structure from bonding to the casting surface. It’s an important step. Any mistakes or misapplication of the spray can prevent the entire panel from being lifted. 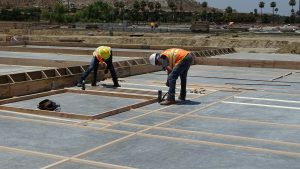 Different buildings have different requirements—engineers oversee and specify the placing of the rebar grid before concrete is finally poured over the formwork, steel inserts, rebar, etc. Finally, a crane is used to “tilt” the concrete panel into place, where it’s braced until the rest of the structural supports and elements are secured. Tilt-up construction is quick and most of the work is done on site, which saves money by being more efficient and by eliminating the need to transport concrete panels and structures to the job site. 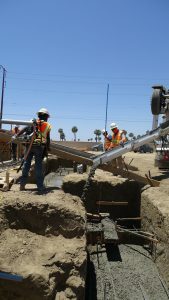 The ability to pour concrete and create the structure on site allows crews to create extremely heavy structures that can weigh as much as 140 tons. 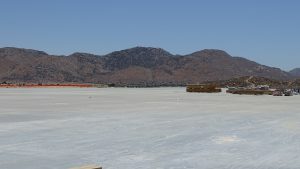 As recently reported in the Inland Valley Daily Bulletin, the Inland Empire’s has seen more industrial construction than anywhere in the United States. Nearly 20 million square feet of industrial space was built in the first quarter of 2018. In total, Southern California has about two billion square feet of industrial & distribution centers, making it the largest globally. With that kind of demand, competition is fierce and having good partners on projects is critical to success. 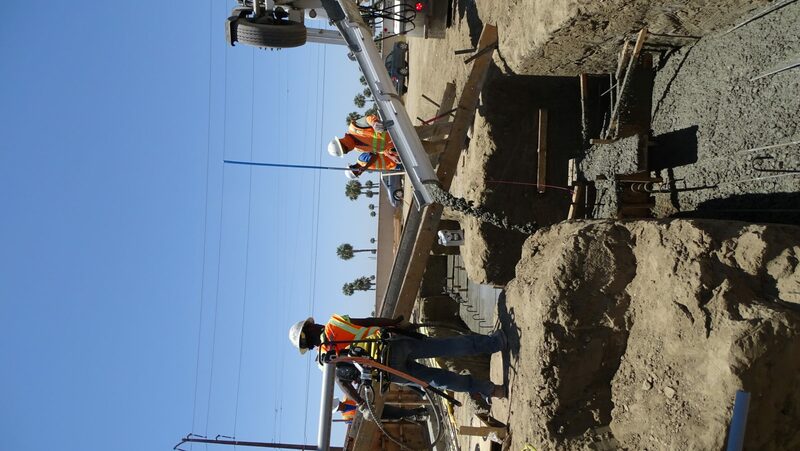 LIUNA members pour a concrete footing. The boom has been good for the local economy and workers. Recognizing the value of LIUNA’s skilled workforce, there are now more than 30 developer agreements in place, and 29 specialty and general contractors have also agreed to use LIUNA members. Together LIUNA and their new partners have built 60 million square feet of tilt-ups with another 10 million square feet on the way. To meet this need, more than 1,200 workers have joined LIUNA’s ranks and are trained ready to work. “These projects are creating jobs during construction and after its completion. They are pumping millions into the local economy to fund critical services like public safety and health care. We’re proud to be part of these successful projects,” says Jon P. Preciado, Business Manager of the Southern California District Council of Laborers.